Download this holy Bible app free on your mobile device and start enjoying one of the most influential Bible of all time: The Newly King James Version. The Newly King James Version was created in 1975 by more than 100 Bible scholars, church leaders and lay Christians who worked for seven years in order to create a modern translation of Scriptures but keeping the purity and beauty of the original King James. This is a beautiful version you will love to read. Download it now for free and enjoy the best Bible online wherever you go. Vandag kan u die offisiële Bybel in Afrikaans geniet, ‘n weergawe wat ‘n genot is om te lees en te studeer, wat beskou word as die mees akkuraatste Afrikaanse vertaling van die Heilige Geskrifte. Meer as 7 miljoen Afrikaanse sprekers in Suid-Afrika en Namibië kan die Bybel aflaai en in hul eie taal lees! Wat kan beter wees as om die Woord van God op u mobiele toestelle by u te dra waarookal u gaan? U kan die Afrikaanse Vertaling van die Bybel aflaai en die Heilige Woorde lees waarookal u gaan op u Android-foon of tablet. U kan dit van lyn af lees nadat dit afgelaai is, geen internet konneksie word benodig. Since the early centuries, this original Church has been called the Catholic Church. Today you can enjoy the official Bible of the Catholic Church: The Douay-Rheims Catholic Bible, a Version that is a joy to read and study, considered the most safest and accurate English translation of the Holy Scriptures. What better way than to carry the entire Word of God wherever you go on your mobile devices? You can download the Douay-Rheims Translation of the Bible and read the Holy Word wherever you go on your Android phone or tablet. You can also read it offline after downloading, no Internet connection required. Скачайте Библию бесплатно на Ваше мобильное устройство! Библия – это сборник книг, передающих Слово Божие. Во все времена, по всему миру люди читают эти великие доктрины. Библия была изначально написана на древнееврейском, арамейском языках и древнегреческом койне и переведена более чем на 2400 языков. С помощью данного приложения Вы можете с комфортом читать Священную Библию на Вашем мобильном телефоне, где бы Вы ни были и когда бы Вы ни захотели. Читать в приложении очень легко – оно разделено на главы, поэтому Вы можете с легкостью найти строфу, которую Вам хотелось бы прочитать. Давайте поблагодарим Господа за имеющийся у нас доступ к Его уникальному и неисчерпаемому посланию. Библия – это Дар Божий, это – боговдохновенная книга. Сам Господь Бог выбрал и вдохновил группу людей на то, чтобы они увековечили его Слово в этой священной книге. Библия – это проповедь жизни, источник мудрости и вдохновения. Библия – это вера, утешение и истина. Это – пособие для верующих, настоящее руководство к жизни. Download the Amplified Bible (AMP), the best Bible online, available on your phone! How important is the Bible on your life? Millions of people around the world owns Bibles. Here you can have the Holy Bible online, on your phone and read every day the Holy message from God. Take a time and spend 10 minutes each morning to read the Bible. This helps start your day with a positive attitude. Your family and friend will appreciate! Você está procurando uma Bíblia gratuita online? Experimente a nossa Bíblia: a melhor versão para você ler, disponível grátis no seu telefone! A Bíblia é a palavra de Deus e contém muitos ensinamentos. É o livro mais extraordinário e influente jamais escrito. A Bíblia não foi escrita numa única língua, mas em três línguas diferentes: hebreu, aramaico e grego. Ao longo dos séculos, foi traduzida para mais de 2500 línguas e dialetos. Aqui lhe oferecemos a Bíblia em português, traduzida pelo pastor protestante João Ferreira Almeida, quem dedicou sua vida inteira à traduzir a Bíblia para ajudar as pessoas a entender e conhecer a Palavra de Deus na sua própria língua. Baixe este aplicativo gratuito e desfrute a Bíblia Sagrada diariamente no seu dispositivo móvel Android! 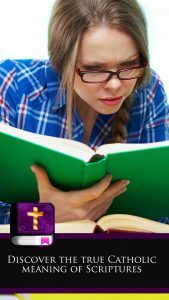 Disfruta esta aplicación que te ofrece la Biblia en español más importante de todos los tiempos: la Biblia Reina Valera. La Biblia Reina Valera es una estupenda Biblia para leer, estudiar y llevar siempre contigo. Solo tienes que descargarla para poder luego leerla en el lugar y en el momento que quieras. La Reina Valera debe su nombre a su creador Casiodoro de Reina y a su primer revisor, Cipriano De Valera, ambos monjes católicos exiliados de España por la Inquisición. La Santa Biblia Reina Valera alcanzó mucha difusión durante la Reforma Protestante del siglo XVI y es una de las Biblias más aceptadas y utilizadas por la Iglesias Cristianas protestantes, católicas y evangélicas. Esta Biblia sagrada tuvo muchas revisiones a lo largo de los siglos, entre ellas, la Reina Valera 1909, la Reina Valera 1960 (RVR60) y la Reina Valera contemporánea (RVC). 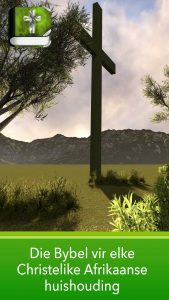 King James Bible, the best translation of the Bible of all time is now available for Android! You can download this online Bible and take it in your mobile device wherever you go. In 1604 King James I of England authorized a new translation of the Holy Bible into English. It was finished in 1611. This version is also known as the Authorized Version and it became the standard for English-speaking Protestants. With a flowing language and a prose rhythm, the publication of the King James Version was the most important event in the history of English and American literature. For centuries, the King James Bible remains the most influential Bible in the English Language. In Spite of this, many translations of the Holy Bible has been created over the years, such us: Amplified Bible, New King James Version, American Standard Version, Easy to read Version and much more. Téléchargez la Bible en ligne et retrouvez la Parole de Dieu sur votre portable. La Sainte Bible gratuit qui vous accompagne partout! Lire la Bible est l’une des meilleures habitudes que nous pouvons avoir car elle répond toutes nos questions spirituelles. La Bible est la Parole de Dieu révélée aux hommes. La Bible est le livre le plus lu au monde. Elle a été traduite, en partie ou en totalité, en plus de 2500 langues. Dans cette application, accédez à la Bible Louis Segond, la Bible la plus répandue auprès des évangéliques, protestants et catholiques, traduite par Louis Segond. Louis Segond fut un pastor protestant, écrivain et théologien né en Suisse en 1810, qui a écrit la Bible en français à partir des textes originaux hébreux et grecs. La Bible Louis Segond a eu une révision en 1910, la Bible Segond 1910. Lade die Bibel kostenlos auf dein mobile Gerät! Die Bibel ist ein Set von Büchern, die das Wort Gottes übermitteln. Jederzeit, rund um die Welt, liest jemand diese tiefgründigen Lehren. Die Bibel wurde ursprünglich in Hebräisch, Aramäisch und Griechisch geschrieben und danach in mehr als 2400 Sprachen übersetzt. Mit dieser App kannst du bequem auf deinem Handy die Heilige Bibel lesen, wo immer du bist und wann immer du willst. Es ist leicht zu lesen, in Kapitel unterteilt, sodass du die Verse, die du lesen möchtest, schnell finden kannst. Danken wir Gott für den Zugang zu Seiner einzigartigen und endlosen Botschaft. Die Bibel ist ein Geschenk von Gott, sie ist ein göttlich inspiriertes Buch. Gott erwählte und inspirierte eine Gruppe von Menschen, um sein Wort in dieses heilige Buch zu schreiben.